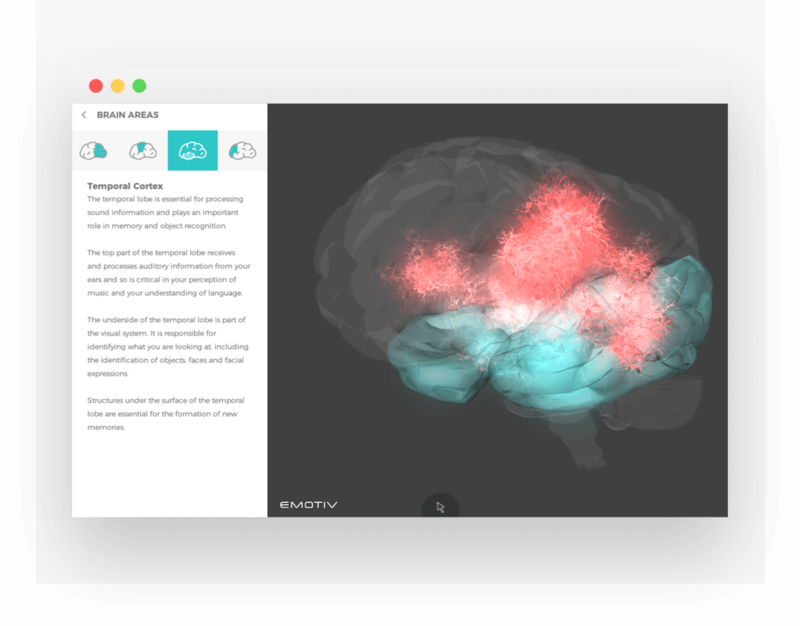 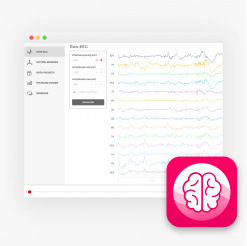 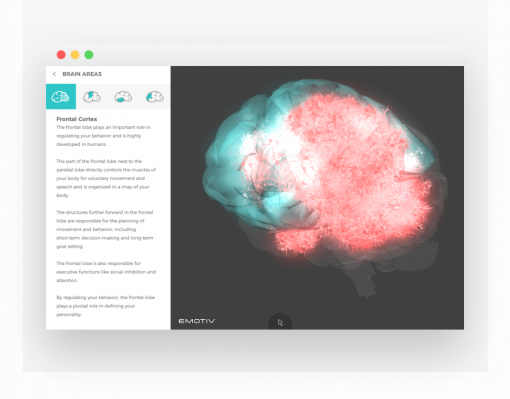 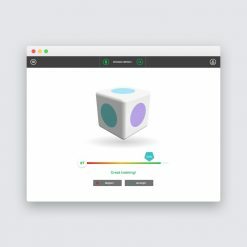 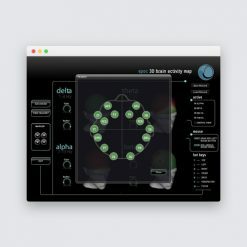 BrainViz provides a real time display of color-coded projections of frequency band information (theta, alpha, beta, gamma), revealing your brain’s dynamics and is ideal for demonstrations, presentations and educational uses. Learn about the major areas of the brain and what different frequency bands represent to make sense of the activity you see. 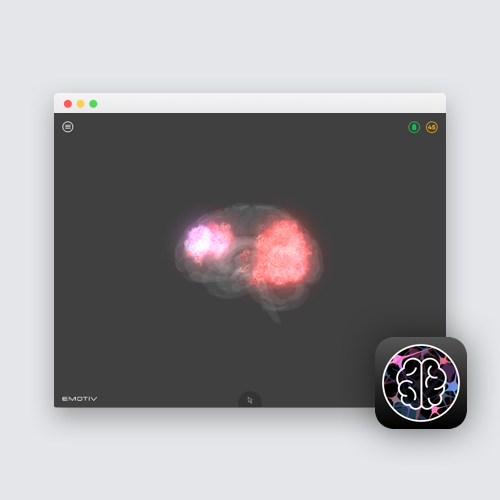 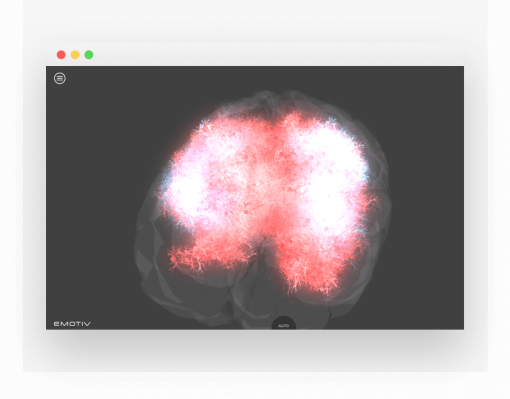 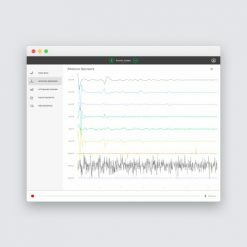 Change the intensity of the different frequency bands, highlight different regions of the brain and choose the 3D view that you want to suit your needs. 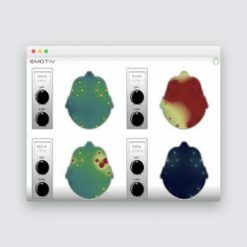 Compatible with EPOC+ and Insight headsets; compatible with Mac and Windows. 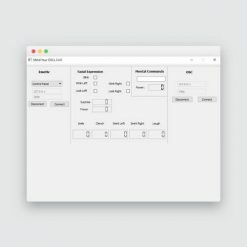 For commercial uses, please contact us.